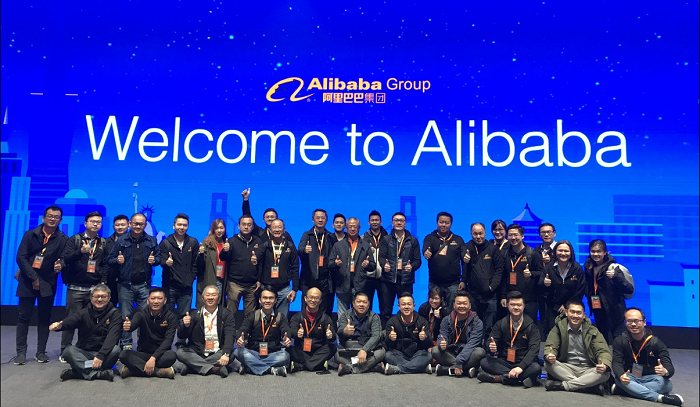 ALIBABA Business School, the education arm of Alibaba Group today announced the establishment of the first Alibaba Netpreneur Training Program in Malaysia. The training program is part of the ongoing eWTP ( electronic world trade platform) initiatives in Malaysia and aims to enable Malaysian entrepreneurs and those who operate businesses within Malaysia to embrace digital innovations to transform their businesses and the country’s economy. Under the eWTP agreement with Malaysia, Alibaba group is committed to facilitate the development of inclusive trade and the digital economy through the development of electronic trade infrastructure and adoption of best practices. The Alibaba Netpreneur Training Program – jointly organized by Alibaba Business School, Malaysian Digital Economy Corporation (MDEC), Malaysia External Trade Development Corporation (Matrade), and SME Corporation Malaysia (SME Corp) – is programmed to cater to the different needs of different businesses in Malaysia, when it comes to adapting into the digital ecosystem. “We are excited to be working closely with our partners in Malaysia to help make this new program possible. The Alibaba Netpreneur Training Program is a part of our ongoing initiatives under the eWTP program that aims to address various challenges facing Malaysia’s entrepreneurs, both traditional businesses and digital ventures, and to help convert these challenges into opportunities to propel their business further,” said Brian A. Wong, vice president of global initiatives, Alibaba Group. “The program will also help entrepreneurs explore opportunities to become more innovative and adaptive in the digital era. By sharing Alibaba’s experience in building the ecosystem in China and by highlighting the transformational journey that many of our ecosystem partners have gone through, we hope to spark new ideas and provide inspiration to the participants in their own digital journey,” Wong added. The 10-day program, held in Alibaba’s headquarters in Hangzhou, China, will provide participants with first-hand exposure to e-commerce innovations from Alibaba Group that have enabled growth and a more inclusive development model for all. "As a vital aspect of the road to success is to have the right skills and knowledge, this latest collaboration is another important stride forward to broaden the opportunities for Malaysian businesses and entrepreneurs to reap the benefits offered by the tremendous continued growth of eCommerce and the digital economy," said Ng Wan Peng, chief operations officer of MDEC. "The program helps equip local businesses with the knowledge to compete globally via the digital platform to achieve a much broader outcome. With the importance of digital economy as an enabler in today's export business, this initiative will help boost Malaysian SMEs contribution in international trade. Ultimately, this will benefit the country economically and socially. Matrade applauds this initiative by Alibaba which other e-Marketplaces should consider to emulate," said Sharimahton Mat Saleh, Deputy CEO of Matrade. “The rich platform of Alibaba will provide great opportunities for SMEs to learn about best practices as well as create synergy among the SMEs from different industries and backgrounds. This invaluable knowledge-sharing initiative will not only be beneficial for the participants, but will also connect us closely with Alibaba Group and other forward-looking partners who understand the new e-commerce context to embrace critical opportunities in the digital economy,” said Noor Azmi Mat, CEO of SME Corp Malaysia. Fundamental understanding of how new technology and the capabilities of a digital economy enable national development. Key insights into the evolution of Alibaba’s ecosystem within a country-wide context, including failures, mistakes, and best practices through sharing’s from Alibaba’s founders and business leaders. Key learnings from traditional businesses from a wide range of industries who recently went through the digital transformation in China. Field trips and interactions with leading businesses within Alibaba’s ecosystem to provide first-hand insights into current innovations. A foundation of strategic thinking that will enable participants to make improvements in their own businesses, industries, and ecosystem. Program 1: Application deadline is 10th February 2019. The program will be held at Alibaba’s headquarters in Hangzhou, China from 23rd March 2019 – 3rd April 2019. Program 2: Application deadline is 3rd March 2019. The program will be held at Alibaba’s headquarters in Hangzhou, China from 13th April 2019 – 24th April 2019. Further information and criteria on enrollment plus full program details can be seen here.